so you can't send defence to WW ? When you are watching film or something tragedy and drama you watch with popcorn and enjoying/kidding situation..
can only blame TG for not solving it before finals start (or even WW phase). so what happen now ?bug happened in final... are you happy with that TG ? i like how turks saying "we take the ww because we want to kill your off"
we don't have defense..do you want to attack us? How can you talk about quality and winning when you, turkish players, dont have any lvl100 on the finals and you are just numbers? you are just tourists here, you pay every time and leave with nothing, just useless memories. Dacia every time is playing for win(every game is finishing with ww lvl 100, no? ) you just play to dont let others win because you never can't win. You show here "amusament" but is a big frustation.. Taking WW from - 100/100 is a example about your mentality, work hard with feeding 1 mil troops in this moment and for what? :))) you celebrate this move few days, i think.. 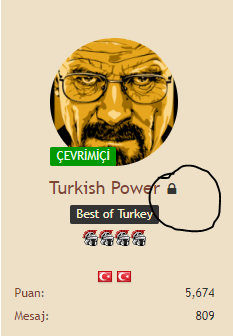 This is your turkish power, feeding and grow up NW's WW and congratulations, you do this alone:))) I'm curious how can you explain that to your players.. When this work was just for ambition. Why "turkish power" didn't resist in bp's area? :)) Animals are just pro deffenders and rest of turkish players are very low, stop talking about quality. I dont care about your past from another servers;) Here is the finals, so..what are you doing here? "why are you crying" old reply, but no gold..
i can only talk about my team. we was prepared to stole artefact from -/- and +/+ to using gaul raiders. playing defensive,stealing artefact with a lot of gaul players but that is effective for the win. That is our second time in the final , usually tr 3x server more enjoyable than final , there is much fighting than final that why we was not played tournament..
when we were played first time we was taked 2 BP 1 unique. i wonder are you ever won tournament with alone? or like a last year ? our mentality basicly ; when someone betrayed and swearing you, if you are honorable man you have to show your honor you have to show them their betrayal price. my word is realy my bond ! we always made a decision together, i am always share almost all conversation. i don't have to explain players, they already know almost everything. About quality; there is only one quality attack from dacia-k , the others are completely disappoint. was that "world champion" operation?? lol. 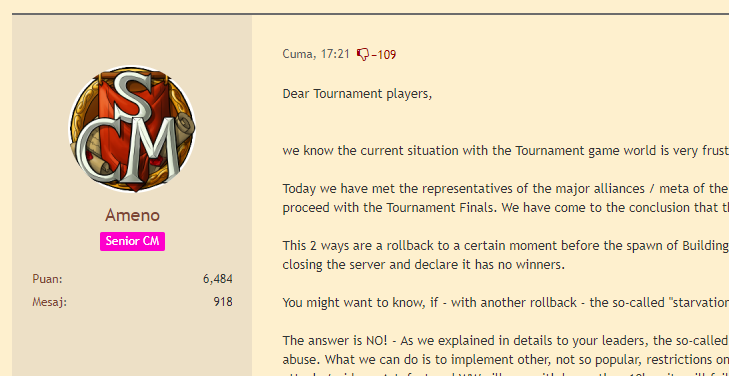 the other teams mostly left the final because there is no reason to playing travian except "terrorist" swearing. So even this situation %70 animals not playing , the other teams are in the same situation. you have also russians, are they attack even one time to you are? (yes only one time no more i saw that)but you are still can't take back WW. ? is that your quality? are you ever fight against dacia/russians/nPL at the same time ? sometimes you should look noob by strategy ,prime/shield/cof was talking taken before the truce but you don'T because of your ego. because you saw us like a chess pawn. you already lose this server, go crying more and keep your promise next time. postoji neki problem ? Is there any problem ? we are playing simple basic game don't need to use unrespectful words . So if what you're saying is true, there's maybe 20-25 active accounts in Dacia? they were settled far away from warzones, farming without any attack(thanks for the russians! i can't play offensive ) and now they proud to be "World Champion" lol. Hi my friend, you should know this: your nickname "Loffe" in Italy means "farts". lol then lock my account too "lovely" TG stuff ! but thoose people did not fight against dacia-nPL-smurf-russians at the same time , we have to hide many things , some times attack reports also..
Is this the reason def was hidden? ^ ^ Because 95%+ of it just evaporated after gangsters attack? yes we don't have def. anymore we are very afraid to receive attack again , do want to try ? Sorry about that all forum members, but we will never show full reports..